My triangle quilt is finished! And I took it out to a really cool steel structure close to my home, the Tetraeder (engl. : Tetrahedron). I couldn't be happier with this quilt. I love the colours, I didn't know I had a thing for purple! You can read here about making the quilt and what inspired me. I always like to throw in some colour splashes in my quilts. 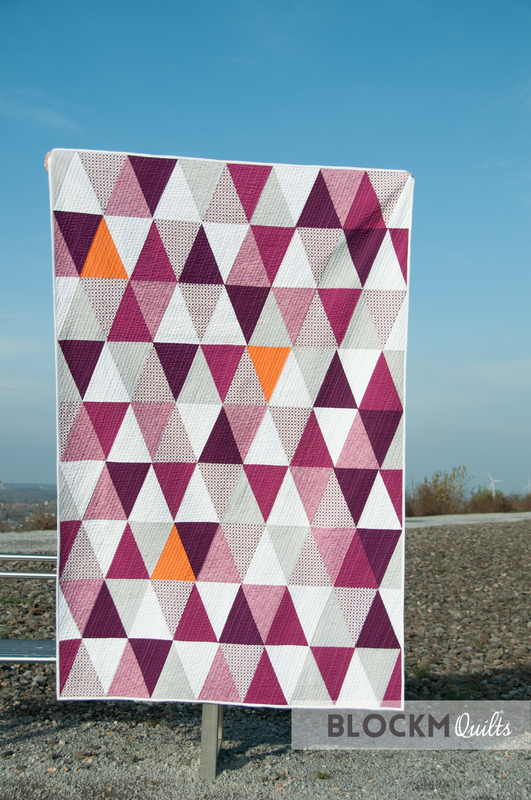 In this case it's the three orange triangles which I think are a perfect little eye catcher. For the back I used up all of the left over half triangles and created an improv back which I also like a lot. Little orange splashes just needed to go in here, too. I went with straight line quilting at 1/2'' apart and used 5 different coloured thread which match the colours of the triangles. I love how in some triangles you can see the thread very clearly and in other triangles the same thread is perfectly disguised. That's my favourite 40wt Aurifil thread I used. It was a beautiful autumn day here today and the Tetraeder was just the perfect back drop. 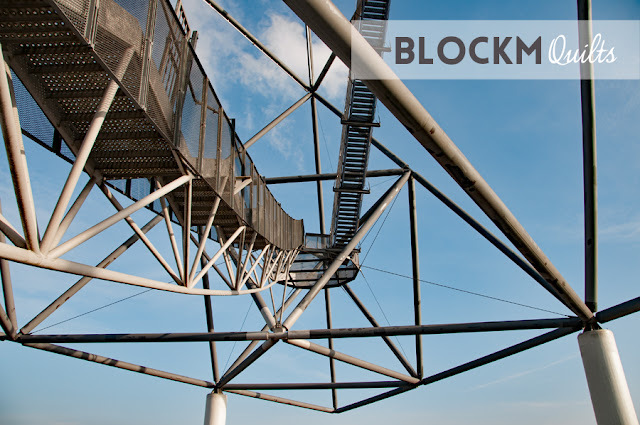 The steel structure is placed on a land fill hill created by coal mines, which were very active in this area from the early 1950s until the last mine closed down in 2015. 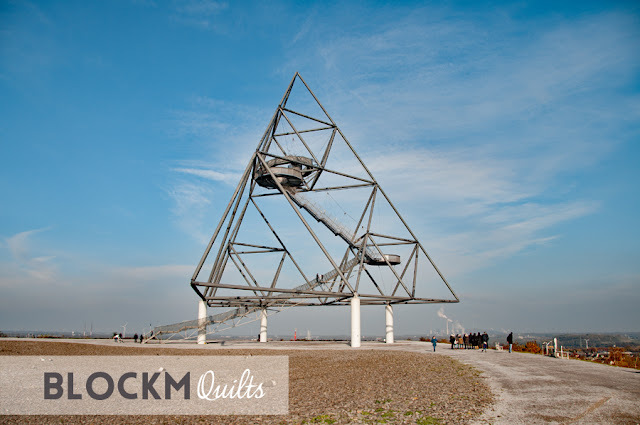 The Tetraeder was erected 1995 and has two platforms, the highest is at 38m above ground. Of course we went all the way up to take some more photos. 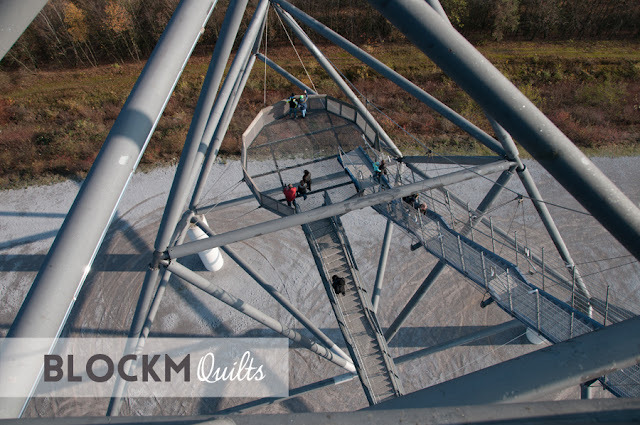 It was very windy up there, so once again I have to thank my husband for being so patient holding up my quilt. And that's the view at the surrounding area. 'Das Ruhrgebiet', my home! The stairs are quite wobbly, that's nothing for the faint- hearted! But that's exactly why I came here! Look at this! 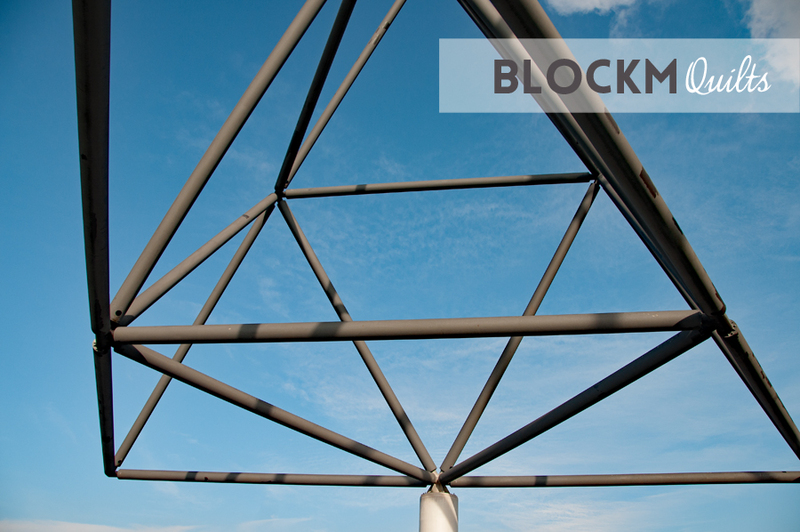 Do you see the three triangles at the bottom of the structure? Almost the same shape! You can guess that my little Architect heart is all excited by this simple but oh so beautiful structure and I won't bore you any longer. Here is the back of the quilt again. The quilt measures 52x80'' (or 1.33 x 2.04m). Once again I had so much fun with the improv piecing of the back, I think I have to do more of this! 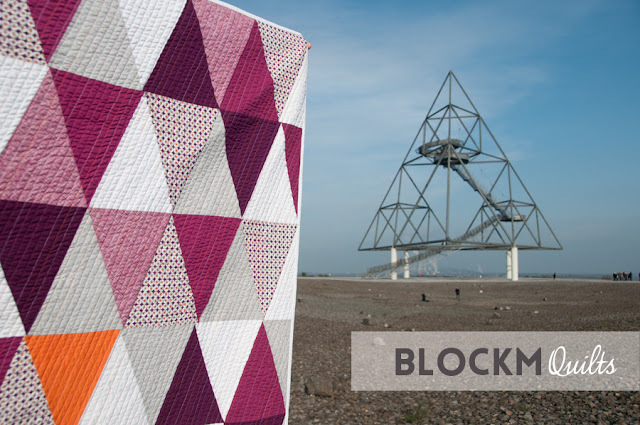 ein wirklich wunderschöner Quilt und die 3 Dreiecke sind perfekt für das Gesamtbild! Ich dachte mir dass die Location dir gefällt :0) Vielen Dank für den lieben Kommentar! 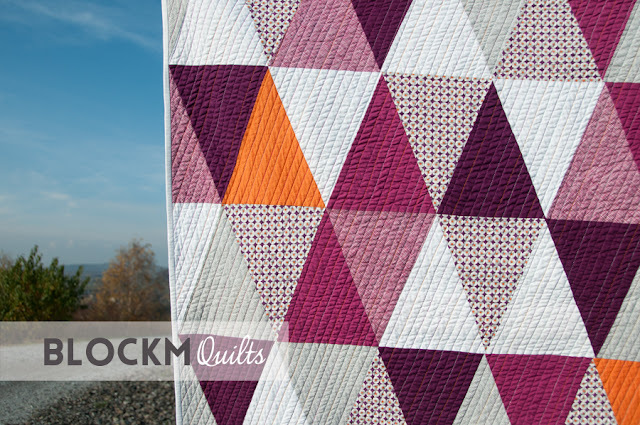 Your quilt is gorgeous and wow about your photoshoot!! Talk about a perfect setting. Nice job on the back of the quilt too AND the thread colors. Pretty amazing all around! Thank you so much, Debbie! As I started the quilt I had that location on my mind already, I just needed to wait for perfect weather! Wow, lovely quilt and photography setting. Love the orange triangles and the back is almost a quilt by itself. Thanks, Mel! Next time you visit we go there and then I take you by the hand to go all the way up because it's a pretty amazing experience, not to mention the view!! 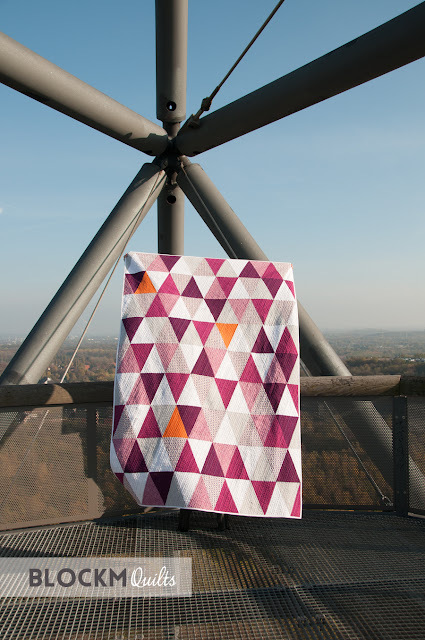 Das ist ein wunderschöner Quilt geworden. Diese orangenen Dreiecke sind wirklich das i-Tüpfelchen! Vielen Dank!!! Freut mich dass die orangenen Dreiecke die gewünschte Wirkung erzielen! 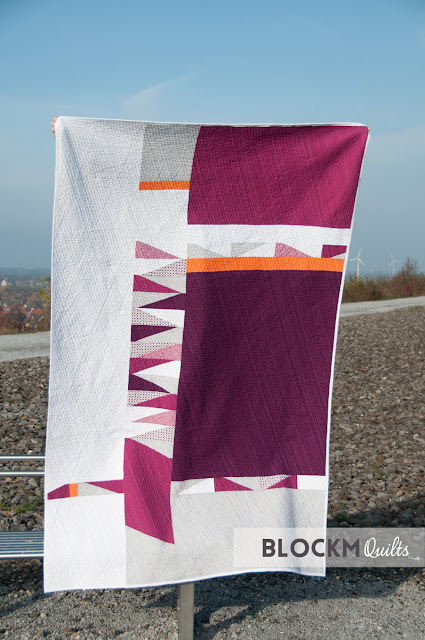 Hallo Daniela, Dein Quilt ist wunderschön ... ganz tolle Farben. Gefällt mir richtig gut! Your quilt is awesome. Thank you for the very cool photo site. I want to see the world, and I appreciate seeing this little slice of your world. Thank you, Tammy! 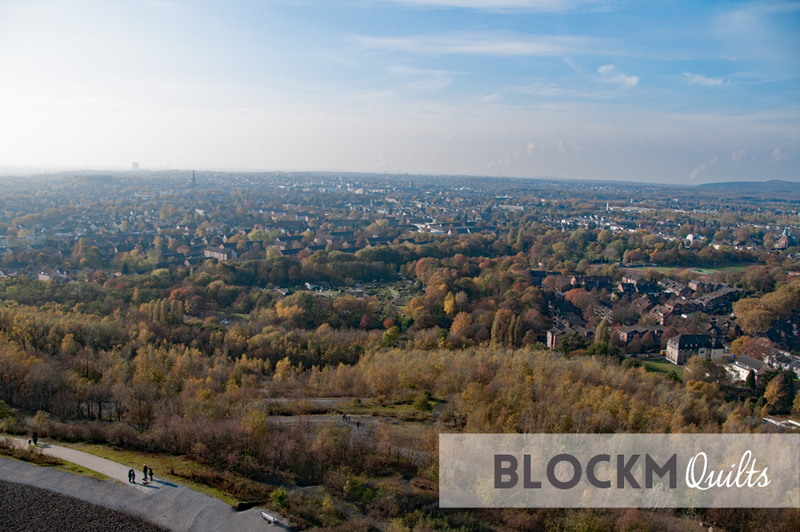 You should come and visit! Thank you, Teje! I'm always on the hunt for good photo shoot locations! Toller Quilt. Ich wüßte gar nicht, welche Seite mir besser gefällt. Ich liebe auch Triangles, aber ich liebe auch Impro. Vielen Dank! Der Quilt hat tatsächlich zwei Vorderseiten! Awesome quilt and I love the back!! 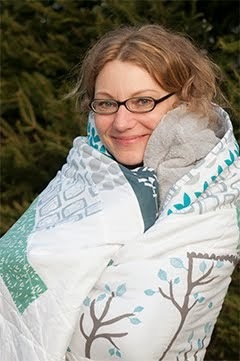 Hi Daniela, Love your quilt (both front and back). Those pictures are really great! Thank you so much, Andree! 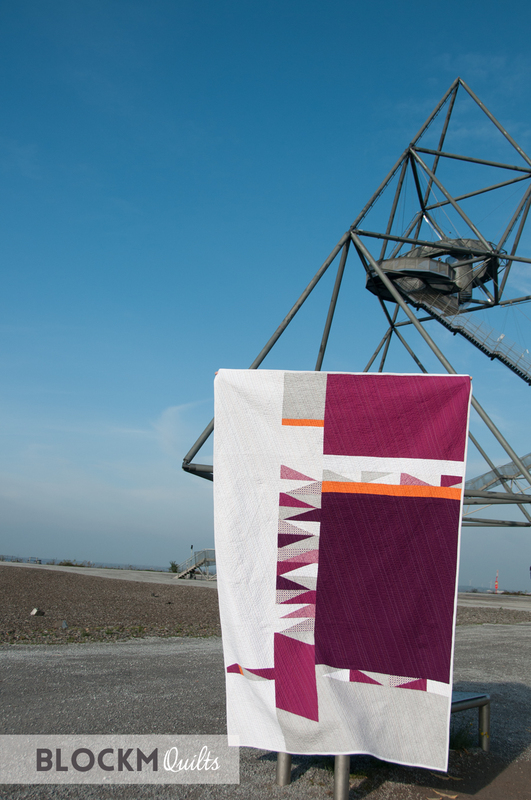 It's a beautiful quilt, and that is an amazing structure! 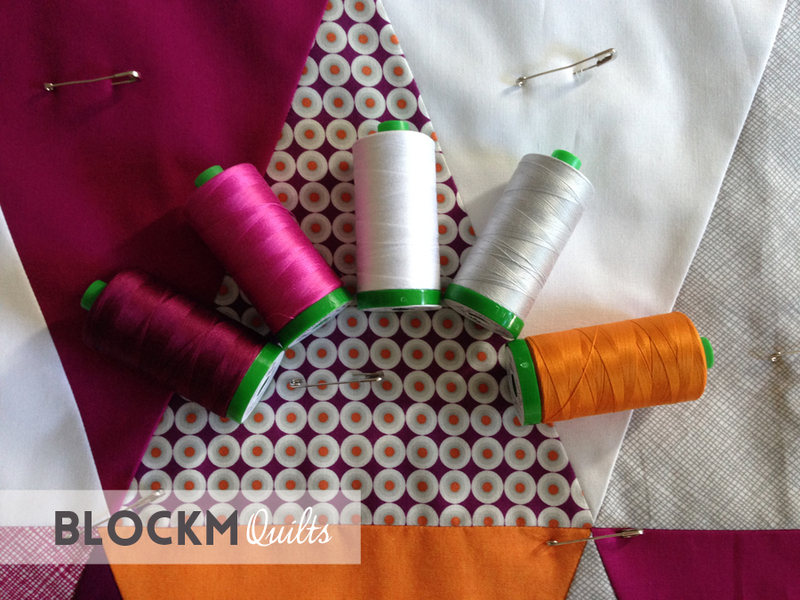 I host Finished or Not Friday on my blog where you can link up your projects. I hope you join us! Thanks for the invite, Myra! I've linked up last Friday! Such a gorgeous quilt... front AND back! Love the structure too. Such a perfect place for pictures! Thank you so much for your kind comment, Christine!